This newest contribution to the 40 Questions series continues the tradition of excellent research presented in clear, user-friendly writing. 40 Questions About Salvation makes sense of one of Christianity's most disputed doctrines, covering the most common and difficult questions about election, the order of salvation, and perseverance of the saints. This volume will help pastors, college and seminary students, and all Christians who want to grow in their understanding of what the Bible teaches about salvation. Each chapter is succinct and readable, with a bibliography of additional resources for those who wish to study further. Calvinist theology has been debated and promoted for centuries. But is it a theology that should last? Roger Olson suggests that Calvinism, also commonly known as Reformed theology, holds an unwarranted place in our list of accepted theologies. In Against Calvinism, readers will find scholarly arguments explaining why Calvinist theology is incorrect and how it affects God's reputation. Olson draws on a variety of sources, including Scripture, reason, tradition, and experience, to support his critique of Calvinism and the more historically rich, biblically faithful alternative theologies he proposes. Addressing what many evangelical Christians are concerned about today--so-called "new Calvinism," a movement embraced by a generation labeled as "young, restless, Reformed" --Against Calvinism is the only book of its kind to offer objections from a non-Calvinist perspective to the current wave of Calvinism among Christian youth. As a companion to Michael Horton's For Calvinism, readers will be able to compare contrasting perspectives and form their own opinions on the merits and weaknesses of Calvinism. 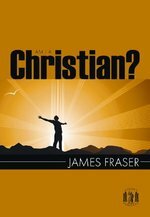 James Fraser endured a long conflict with doubts, but herein provides a helpful record of how he overcame his fears and arrived at a firm assurance of his salvation in Christ. This volume in the Library of Christian Classics series offers selections from the Summa Theologica that best represent Thomas Aquinas' views on the moral and spiritual world in which we live. Long recognized for the quality of its translations, introductions, explanatory notes, and indexes, the Library of Christian Classics provides scholars and students with modern English translations of some of the most significant Christian theological texts in history. Through these works--each written prior to the end of the sixteenth century--contemporary readers are able to engage the ideas that have shaped Christian theology and the church through the centuries. For years, Robert A. Peterson taught about the assurance of salvation in seminary and Sunday school classrooms. He was concerned, however, to find that some people, for a variety of reasons, were unable to grasp the certainty of their salvation. The Assurance of Salvation identifies these "troublers" of assurance and provides the remedy to diffuse insecurity. Peterson asserts that difficult backgrounds and experiences, intellectual doubts, tender consciences, habitual sins, and overconfidence that people face are the enemies of assurance. Through a competent handling of the Bible, he explains that by embracing three gifts from God--His Word, His Spirit, and His work in our lives--those who struggle with insecurity are able to personally experience the freedom of God's assurance. Atonement Matters is first and foremost a book that calls teachers, preachers, counsellors, parents and authors to follow Paul's admonition to Titus and to declare unashamedly the full and rich biblical teaching on the atonement. This doctrine states that Christ came not merely to make all mankind saveable. Instead, he came to save effectively and fully his chosen, his church, his bride. In other words, God truly saves sinners! Almost unknown by evangelical Christians today, Juan de Valdes and Don Benedetto were Reformers who penned what are probably the two most significant works of the Italian Reformation: "One Hundred and Ten Considerations" and "On the Benefit of Jesus Christ, Crucified." Both writers protested not merely against the corruption of the Roman Catholic church, as Martin Luther Did, but went further to challenge the Italian humanism of the Renaissance. While John Calvin's Institutes richly teach the doctrine of the atonement by faith, the thought of Juan de Valdes reflects more of a struggle and debate among a group of friends about how the participatory experience of justification by faith is actually lived out. The writings of Don Benedetto develop similar ideas about the centrality of Christ's death, and the role that assurance and joy play in the Christian life. Abridged and edited by James M. Houston. This book is a clear treatment, in nontechnical language, of the person and work of Jesus Christ, especially focusing on the nature of atonement. The chapters are arranged around several central questions: Who is Jesus? What do the Bible and the church tell us about him? Just what is in the nature of the salvation he offers, and how does it work? Most of all, what difference do the answers to these questions make for the church and for the world? The Foundations of Christian Faith series enables readers to learn about contemporary theology in ways that are clear, enjoyable, and meaningful. It examines the doctrines of the Christian faith and stimulates readers not only to think more deeply about their faith but also to understand their faith in relationship to contemporary challenges and questions. Individuals and study groups alike will find these guides invaluable in their search for depth and integrity in their Christian faith. Cornel Venema revisits the important doctrine of predestination to re-familiarize the church with truths about God's sovereignty in salvation. But he does not merely re-visit old ground but also engages a host of historic and contemporary challenges to the doctrine. He addresses the subject from exegetical, historical, contemporary, and pastoral vantage points.